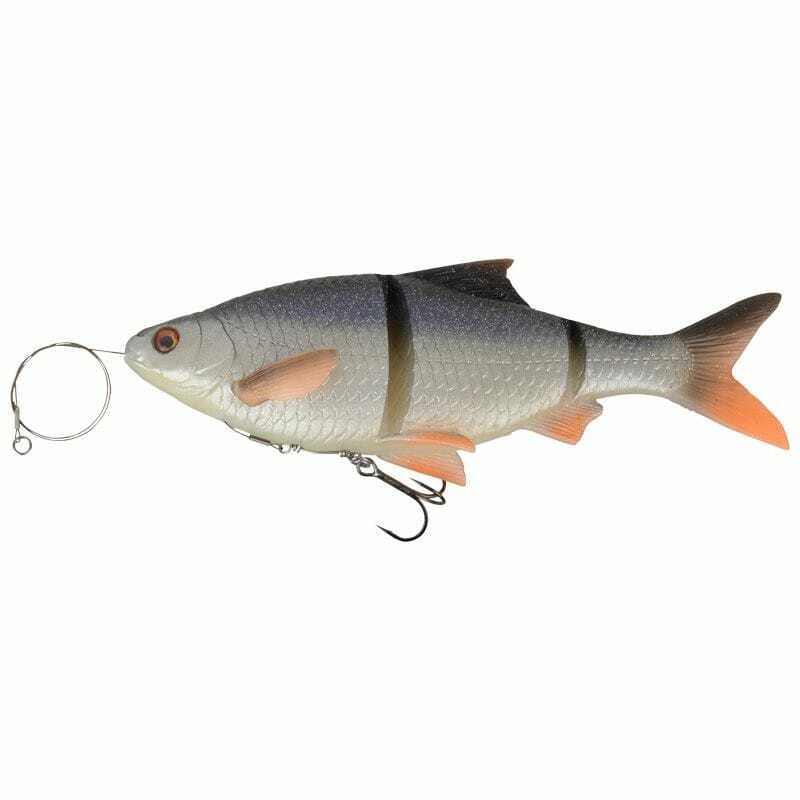 The roach is the most important prey for many fresh water predator fish and Savage Gear has studied in detail the behaviour, details and movement to create a series of lures that will provoke aggressive strikes. 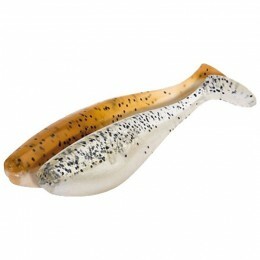 Along with the lifelike looks, the cuts and slides to the side this 18cm lure makes will just drive the pike crazy. 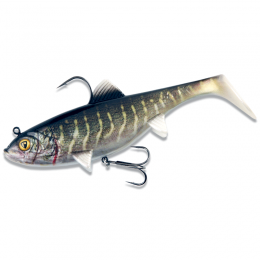 Savage Gear is probably the best lure manufacturer when it comes to lifelike imitations. 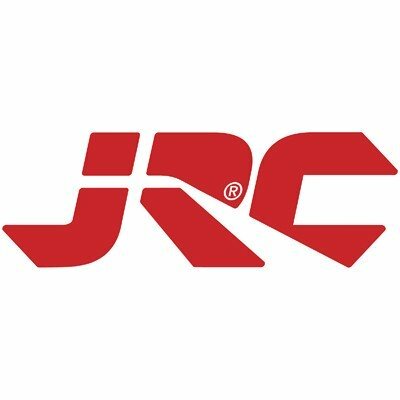 These 3D Roach lures are all based on a 3D Scan of a real roach. They’ve managed to recreate an amazing amount of detail. 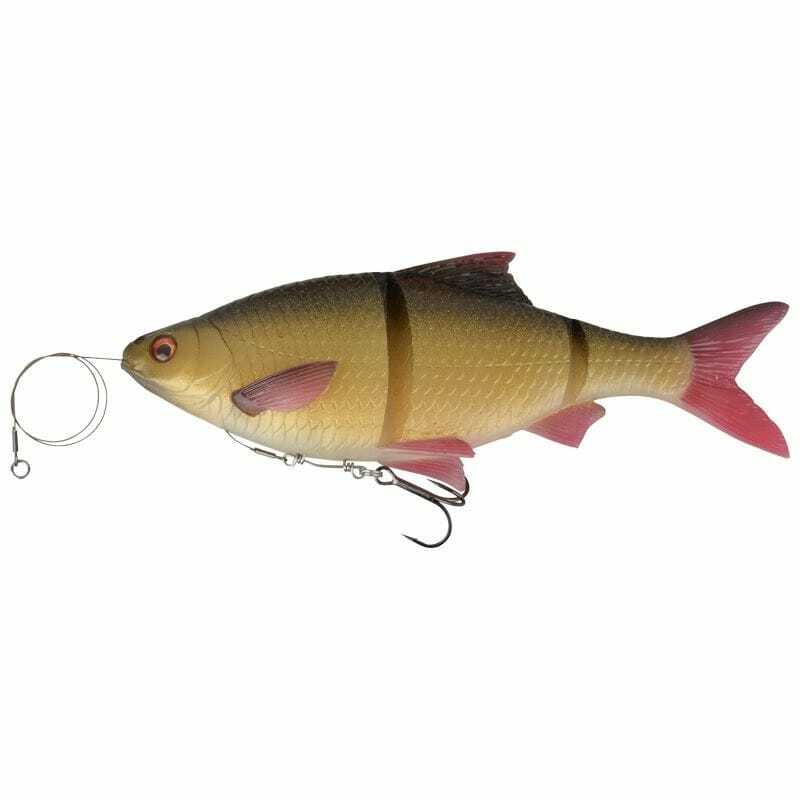 Along with the range of colour options, the 3D Roach looks extremely tempting to predator fish. Savage Gear’s famous line thru system was further developed so the hook can now swing freely outside the 3D Roach on the broadest point of the body. This ensures great hook up and an even better landing rate. 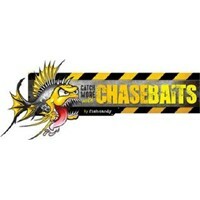 The new Little Line Thru modifier is a great innovation and the lure can easily be transformed to hold 2 treble hooks. The 3 sections of the body each move independently. 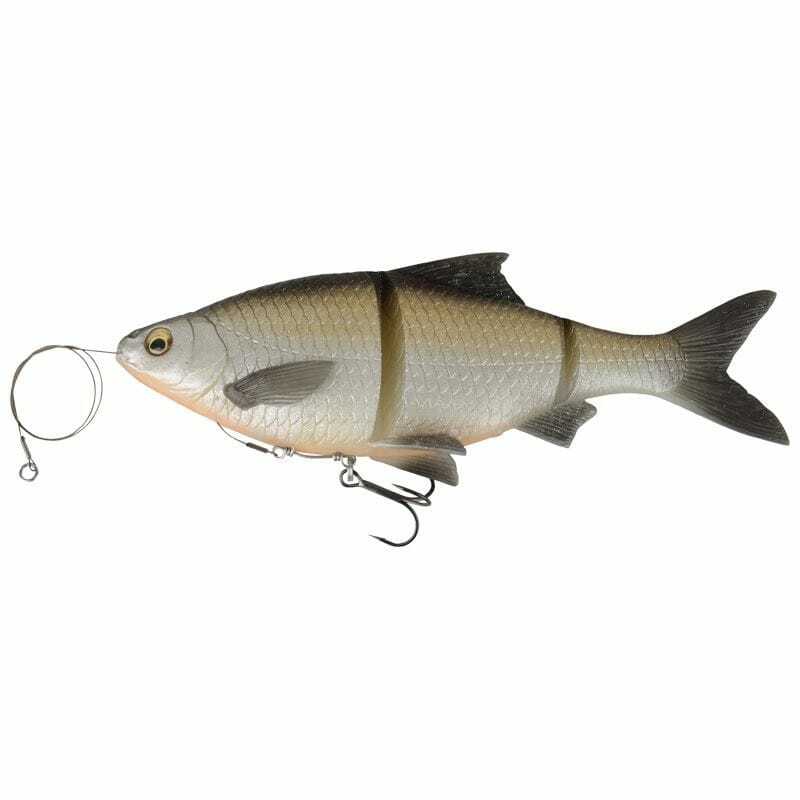 This high body profile creates an amazing S-curve action that makes it looks like the 3D Roach is swimming. 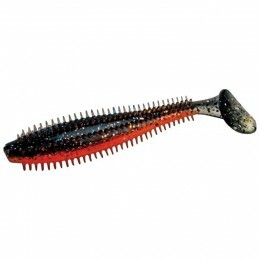 The fins are slightly softer than the rest of the body, so it looks like they’re genuinely propelling this lure. 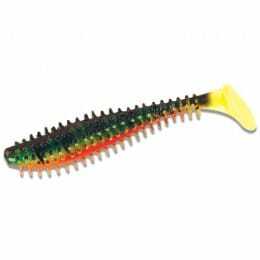 The Line Thru goes through the mouth of this slow sink model, so you can twitch and pull the lure to perform some amazing glides.